With simple text and cartoon artwork, Balloon Toons graphic novels for young readers are the the perfect way to engage and encourage new readers. Award-winning and up-and-coming cartoonists lend their inimitable and illustrative talents to entertaining stories kids will enjoy again and again. 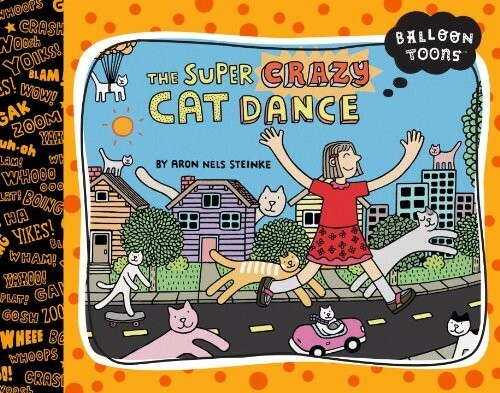 Breakout artist Aron Nels Steinke's rollicking tale has cats of all shapes, sizes, and colors who populate a little girl's world and inspire her to create a crazy and kooky dance. It's the cat's meow! Portland based artist and elementary school teacher Aron Nels Steinke began his career self publishing zines in black and white. Always charming, the format never did his art justice until now -- this irresistable full-color picture book proves Steinke to be a clever and engrossing illustrator. Like a catchy song, the energetic artwork in The Super Crazy Cat Dance makes you want to dance...like a super crazy cat of course! Our animal loving narrator roams her city full of colorful and kooky cats exercising her number, color, rhyming, and language skills. 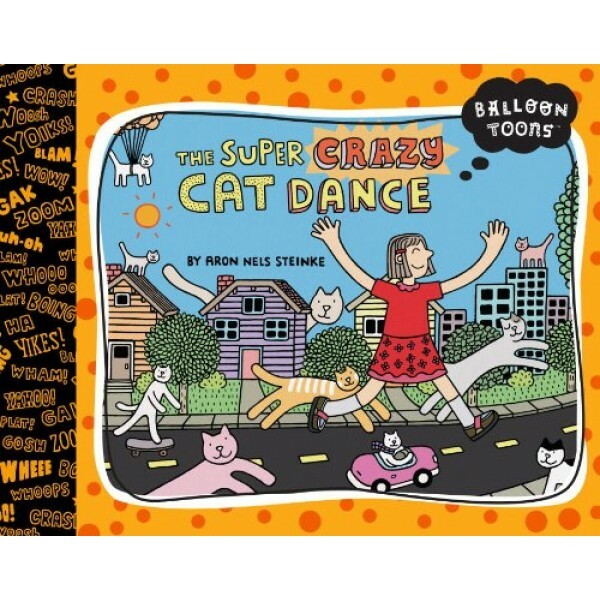 A friend comes along insisting she teach her the super crazy cat dance...it's the name of the book after all! After a goofy dance, a trip to the moon, and having met many different cat friends, our intrepid narrator returns home to find dogs in her bed. Wait, dogs? I thought this book was about cats! This lively and beautifully illustrated book is a great read aloud and a perfect introduction to comics / graphic novels for kids of all ages.